Holocaust Denial is a busted Conspiracy Theory and has been for seven decades. That Facebook's founder Mark Zuckerberg would defend them so, is just ... wow. Appalling. Holocaust Denial has nothing to do with History, and everything to do with Far Right Groups and Neo Nazis - the people who universally try to spread this myth. And Facebook gives them a voice to do so. 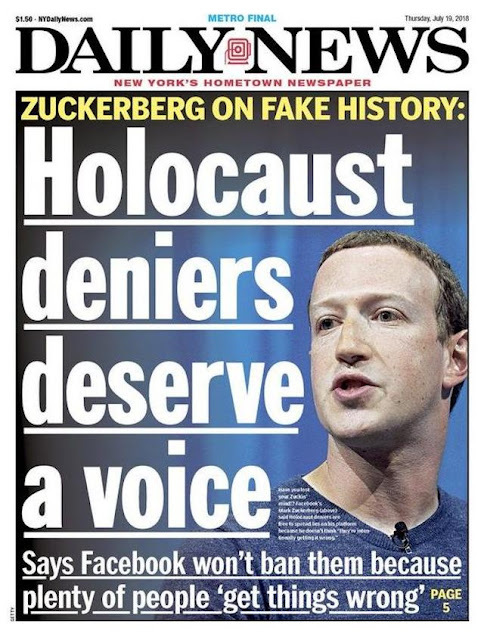 This New York Daily News headline sums it up.